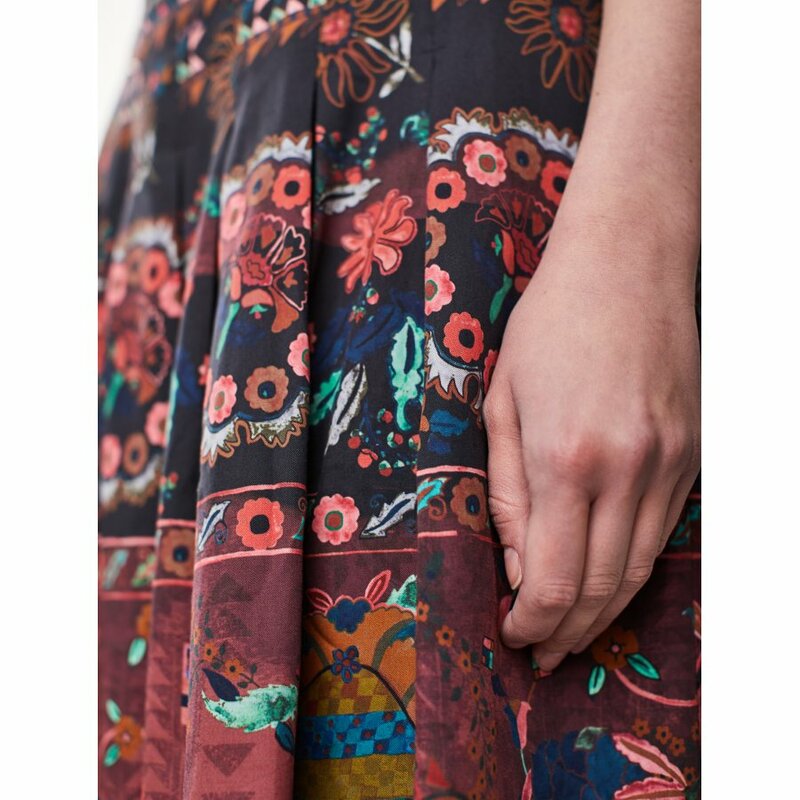 Crafted from luxuriously soft and sustainable tencel, this gorgeous midi skirt features a vibrant tapestry design inspired by elaborate Turkish carpets. 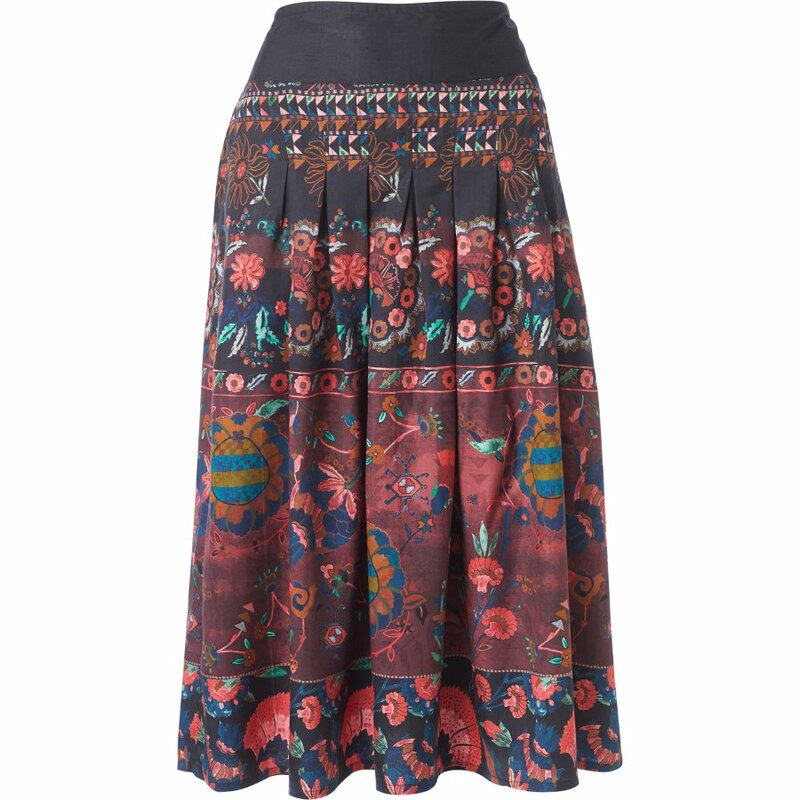 The sustainably made skirt has a comfortable elasticated waistband to deliver a flattering fit, along with pockets and pleat detail. 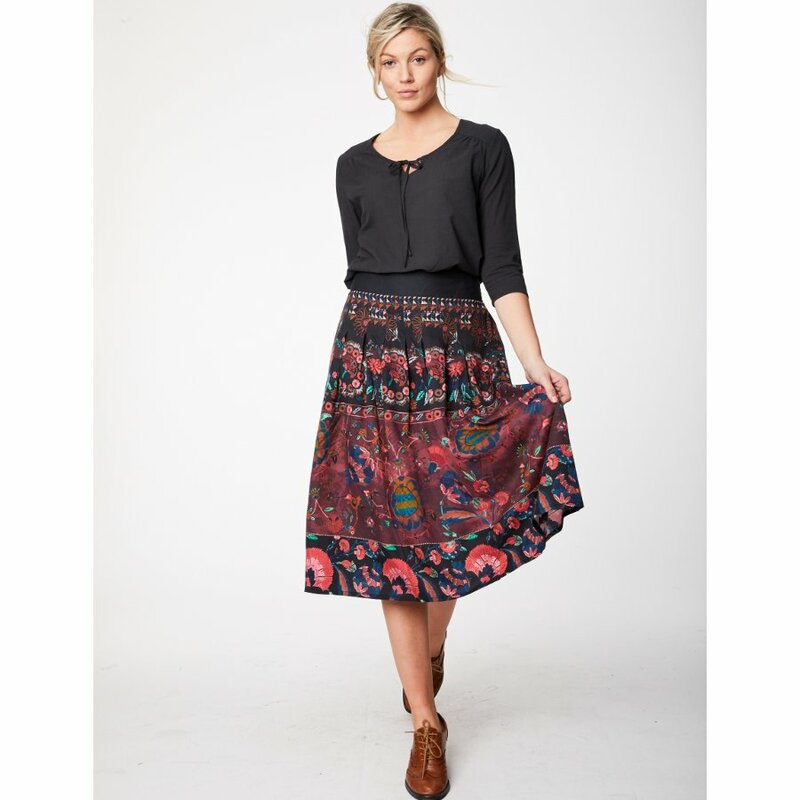 The skirt is suitable for vegans as well as being produced with azo free dyes and certified to the Oeko-Tex standard 100. 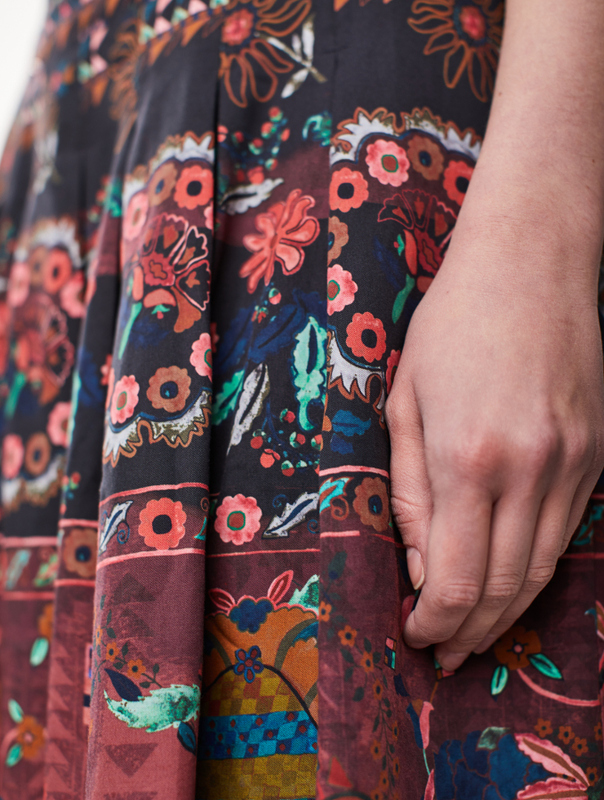 Tencel is a silky soft fabric that is made from sustainably sourced wood grown on land unsuitable for agricultural cultivation. The Tencel making process is practically a closed loop system making it even better for the environment, as well as feeling great against your skin and being wrinkle resistant. 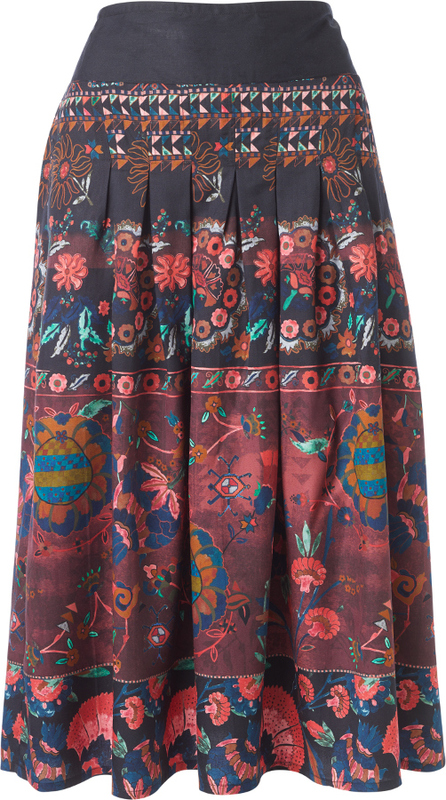 There are currently no questions to display about Thought Aubergine Tapestry Skirt.